A smartphone for your business and home. Why sell Ooma as an Authorized Retailer? Whether you need a solution for your business or home, Ooma has you covered. RS&I and Ooma team up to provide you with technical support, online training and sales tools. 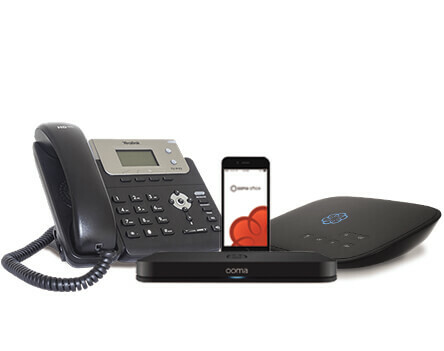 Ooma was selected by the readers of PCMag as the #1 VoIP Provider for Small Business. It was also ranked as the #1 rated home phone service for five years in a row. Earn commissions and long-term residuals when you help small business and home owners set up their service. You’re assigned a personal RS&I Account Executive who works with you one-on-one to help you reach your business goals. The office product features unlimited calling in the U.S., Canada, Mexico and Puerto Rico, along with low international rates. The setup needs no wiring and Ooma offers 24/7 customer support. Features include: a virtual receptionist, extension dialing, call transfer, music-on-hold, conference server, modes for business and after hours and more. The inexpensive home phone service lets you make free U.S. local and long distance calls over the Internet. Just pay a low amount of applicable taxes and fees and you can provide your family with an additional, reliable home phone option. There’s no need for a PC or a headset – just use your phone like you normally would. When you team up with RS&I, you’re also teaming up with a powerful variety of industry leaders. Since we’ve partnered with Ooma, you’ll be able to create sales with homes and businesses throughout a majority of the United States and you’ll have a local RS&I sales team to help get you up to speed as an Ooma Authorized Retailer.